Thank you for selecting 2 Peas for converting your accounting file to MYOB. These Terms and Conditions explain our responsibilities as a MYOB conversion provider and your responsibilities as our client. Please read them carefully. We will behave in an ethical and professional manner. As MYOB Certified Consultants and members of Institute of Certified Bookkeepers, we are strictly bound by their Codes of Ethics. The staff at 2 Peas have been thoroughly trained in file conversion and all work is thoroughly checked for accuracy. All conversion work is done locally ie by 2 Peas’ staff who are all based in Melbourne, VIC. 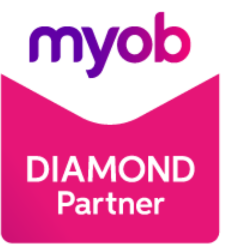 MYOB provides a number of accounting software programs. It is up to you to choose the correct program for the conversion process. 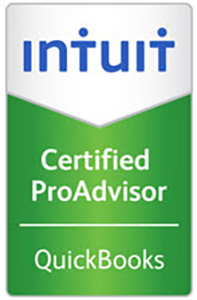 2 Peas is not responsible for your choice of program, unless you engage our services to provide advice on the best MYOB accounting program for your business. All client files remain strictly confidential. Quickbooks files will be destroyed once you have returned the Completion form. Xero access should be removed by you after you have returned the Completion form. We will endeavour to complete the conversion process within a reasonable period after receiving the data from our clients. But we shall not be liable for any failure to deliver within a specified period, regardless of the reasons for that failure. Work will not begin on the conversion process until all required information (as documented in the fact sheet download on the conversion page of www.twopeas.com.au or requested via email) has been supplied and access to the file has been received. We will not return or give access to the completed file until payment has been made in full. We will issue an invoice on receipt of the file and payment will be processed once the file is converted. Payment is deemed to have taken place once funds have cleared into 2 Peas’ bank account. Payment is non-refundable once the completed file has been returned to you; however we comply with Australian Consumer Law. Once the migration is completed and checked by you, we are not responsible for any changes made to your MYOB file. We are not responsible for training or any other services, unless you engage us to supply additional work. Submitting a conversion order will be deemed as acceptance of these Terms despite anything that may be stated to the contrary in your enquiries or your order. You are responsible for completing any forms or checklists supplied by 2 Peas either prior to or during the conversion process. The data that you supply is the data that will be imported. If there are errors in the data supplied, then that is your responsibility. 2 Peas is not responsible for any data migration errors caused by the quality of the data supplied by you, nor for any accounting errors contained within your file. With Xero files, you are responsible for removing our access to the file after you have returned your Completion Form to 2 Peas. The entire contents of the 2 Peas Pty Ltd web-site are Copyright of 2 Peas Pty Ltd. All rights are reserved, and no part of this web-site may be reproduced without permission from 2 Peas Pty Ltd.
breach of any warranties, representations, conditions or obligations imposed or implied by law, statute or otherwise in relation to the Services, which are capable of exclusion (to the intent that to the maximum extent permitted by law, these are hereby excluded). Despite any other provision of these Terms, 2 Peas’ liability will not exceed the price of the Services ordered. Once we have access to the file to be converted, you are not entitled to cancel our services unless either you or 2 Peas are in material breach of obligations under these Terms of Service. 2 Peas may cancel an order for Services at any time, if for any reason we consider that we cannot perform the Services. If we do this we will advise you and any payment taken for the Services will be refunded less any bank charges incurred. “Data” – means the Xero or Quickbooks files and any checklists or other information supplied by the client. “Customer” “You” “Client” – means you, the customer. “Us, We, 2 Peas” – means 2 Peas Pty Ltd, the supplier of the conversion service. “Services” – means the data migration services to migrate the financial data from Xero or Quickbooks to MYOB.